Introducing the DITTO mini flash cartridge. The tiniest big thing for Pokémon Mini. Whether you're playing games or making your own, DITTO mini will transform your Pokémon Mini experience. Modern components and clever engineering make this the most advanced Pokémon Mini flash cartridge ever. Prices include free shipping worldwide. Just the very basics. This set includes a DITTO mini circuit board (PCB), and a USB flasher—needed to load games. You provide the shell from a Pokémon Mini cartridge of your own, the triwing screwdriver to open it, and a common micro-USB cable. The Barebones set + a screwdriver. This set includes a DITTO mini circuit board, a USB flasher, and a triwing screwdriver. You will need the shell from a Pokémon Mini cartridge of your own, and a common micro-USB cable. This kit is so deluxe it comes with everything but a common micro-USB cable, which you probably already have. An extra DITTO mini might come in handy! Just one DITTO mini circuit board. That's it. No plastic cartridge shell, flasher, or screwdriver included. Just want an extra flasher? Well this is it. One flasher unit only. Get your DITTO mini now. Get notifications about new features and other DITTO mini news through our mailing list. DITTO mini is available exclusively through our official seller, A2Heaven. The largest storage ever for a Pokémon Mini flash cart. 2MB (16Mb) flash storage is 4 times larger than any official game released. This allows developers to build games larger than ever before for play on actual hardware. Upcoming updates will enable multi-game support as well. Upcoming updates will allow you to take full advantage of DITTO mini’s high-capacity flash storage. Capable of handling up to 3 regular size (512KB) games, or 30 small (64KB) games. Subscribe to the email list to be notified of updates. 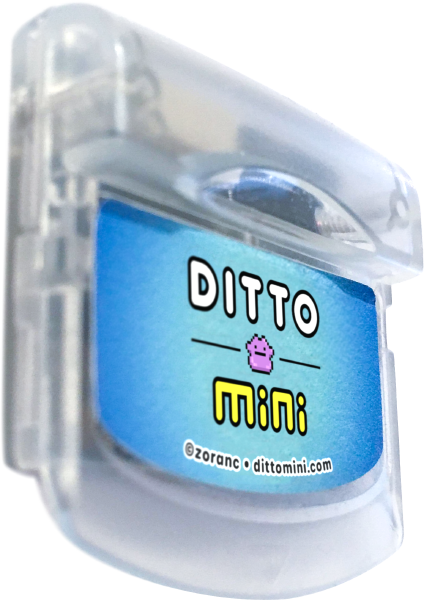 Writing games to DITTO mini, also known as flashing, is faster than any previous Pokémon Mini flash cartridge. Estimated write time for a regular size (512KB) game is about 30 seconds; 2MB files take approximately 2 minutes. For those who don’t need to access the flasher port frequently, or prefer a cleaner look, DITTO mini fits neatly into a cartridge shell without any modification. For quicker access to the flasher port, simply remove a small portion of the top of the plastic cartridge shell with a hobby knife, and the flasher plugs right into the top. Windows users can easily flash games to their DITTO mini via USB with a clean, simple app – Ditto Flash. Mac support to come. The Pokémon Mini is able to write to DITTO mini, allowing you to backup your save files and restore them to your console memory anytime you like. DITTO mini is also able to dump the Pokémon Mini BIOS. Subscribe to the email list to be notified of updates. Flashing games onto your DITTO mini is incredibly easy. 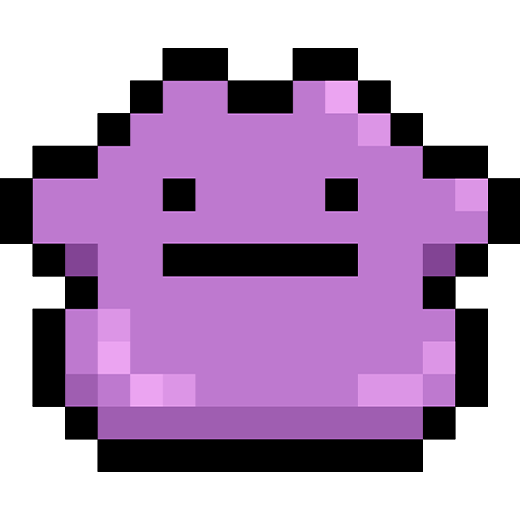 First, download and run Ditto Flash. With DITTO mini connected to your computer via the USB flasher, select the game (.min filetype) you'd like to install and click the Write button. After writing and verifying, the game will be immediately bootable on your Pokémon Mini console. Upcoming updates will bring multi-game support, backup & restore of saves, and dumping the Pokémon Mini BIOS. Subscribe to the email list for updates on DITTO mini support for these features. First flasher utility release includes core features. Support for multi-game, backup/restore saves, and BIOS dumps to come.